As artificial intelligence begins to play a greater role in our everyday lives, the EU has published its first guidelines for the ethical development of AI, warning tech giants that algorithms must not discriminate against users due to their age, race or gender. The European Commission has laid out seven principles it believes will help create “trustworthy” AI programs while reaffirming that businesses must still comply with existing legislation on privacy, consumer protection and environmental standards. By publishing its ethical AI guidelines first, the EU hopes that its high ethical standards will provide a competitive advantage for businesses in the region and that eventually its guidelines will be adopted on a global scale. 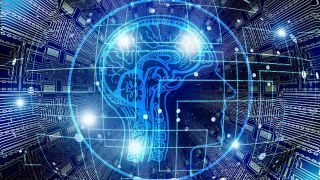 To help draw up its guidelines on ethical AI, the EU consulted a group of 52 experts from a variety of industries including tech companies, non-governmental organizations and academics. While the guidelines are non-binding, a pilot phase will run until early 2020 to give businesses a chance to give feedback on them before they become official. While the full list can be found here, the guidelines cover a wide variety of topics including human agency and oversight, technical robustness and safety, privacy and data governance, transparency, diversity, non-discrimination and fairness, environmental and societal well-being and accountability. The US and China currently the lead the way in AI development which is why the EU has decided to focus instead on the ethics of AI as it looks to shape the technology's future in the region and perhaps even one day the world.